If you are a woman, you probably have at some point in your life, wished to be supremely beautiful with voluptuous lips like many of the renowned Hollywood actresses and other female celebrities? Yikes! She should have left them alone! 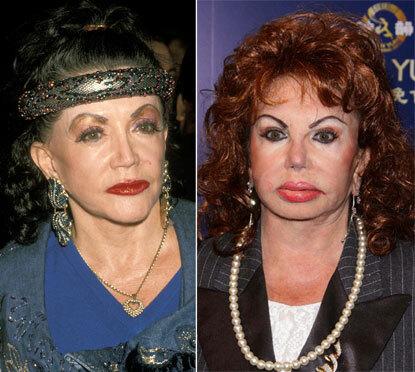 Here are some more really bad lip enhancement outcomes on a variety of celebrities. 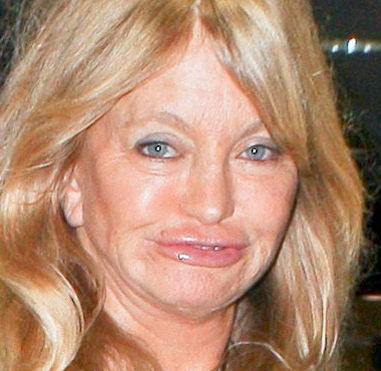 You would think that just maybe, with all their fame, fortune and connections and access to the self anointed “plastic surgeons of the stars”, these celebrities would have a little better taste in lips and the doctors that they choose to go to! Actually, it is not surprising on either account. With random results that I have seen over the years in patients coming from the Hollywood and L.A. area, I have not been very impressed. So much of what we hear is unwarranted hype and not based in reality. Unfortunately, many patients and even treating physicians subscribe to the “bigger is better” approach. 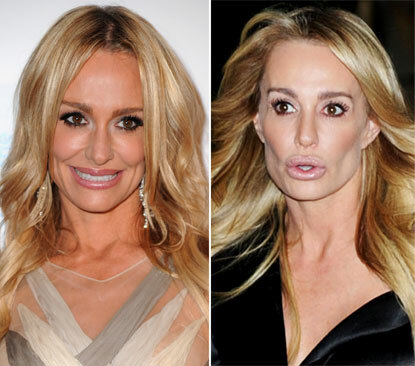 They indiscriminately inject excessive amounts of fillers such as Juvederm® or Restylane® into the lips and in the process, violate and obliterate the important landmarks. The consequences can be quite deforming and strikingly bizarre. Then again, if your goal is to have your lips simulate the appearance of one of a variety of food items – like sausages, duck bills or even trout lips – then you will have achieved your goal. But they will be dis-taste-ful. My philosophy on lip augmentation (or lip enhancement), is to enhance them tastefully so that they will appear as natural as possible and be harmonious with the rest of the face. The important and delicate anatomical landmarks of the lips must be preserved while at the same time, enhancing their natural and ideal curves. This requires a fine understanding of the aesthetics of the lip as well as the ability to skillfully create or recreate such results with the dermal fillers like Juvederm® and Restylane®. Consequently, I perform all the lip enhancements on my patients – I do not delegate this to anyone else. If you would like to schedule a complimentary consultation with me regarding a possible lip augmentation or even any other plastic surgical procedure that I perform, please call my office at 480-451-3000.